Mon. #2 is HERE. To help the website out please subscribe to Mistah MegaManFan so we can reach 1,000 (current count: 816). If you're a gamer you'll enjoy the content! Also don't miss Ian Clark's SmackDown Live Recap at 8 PM ET! With the cheap plugs out of the way here's Tuesday's latest wrestling news. 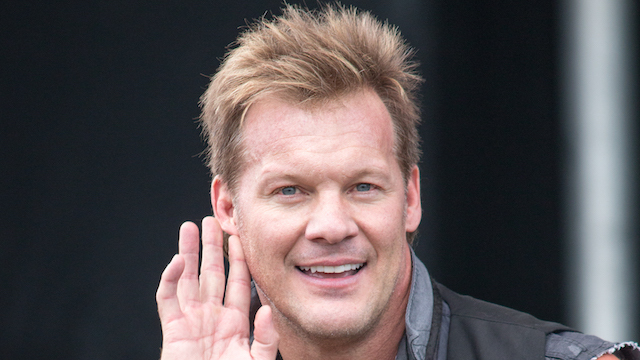 Here Chris Jericho talks about his excitement for All Elite Wrestling: "Yes, I can do this. What AEW is doing is showing me respect and showing me they have a lot of expectations for me. The cart is on my back. I have to do great work and go the extra mile to make this work. I have to use my 30 years of experience to help build this company. And that's exciting to me. We've got the money. We've got the talent. We've got the momentum. We've got the creativity. Now we need the television to match it. Everybody knows it. I believe there will be a very big television deal that's gonna be announced very soon and the roster is going to expand as well. We've already started with a great roster, but now it's time to build it. But we don't want to give all of our ducks away and surprises away right off the bat. We have a long way to go." You've no doubt already seen the video but regardless WWE is teasing that John Cena is "injured" and won't be in the Royal Rumble. The storyline premise is that Drew McIntyre injured him with an ankle lock on last week's Raw. It's more likely either (A.) a swerve to have him be a surprise entrant or (B.) he was never intended to be in the match and this is another Chase Field "bait and switch" like Braun Strowman. Coincidentally or not Booker T says John Cena's time IS up: "I'm gonna tell you right now, I don't care what John Cena says, he can say he's got the fire again. What now did he say he had? Ruthless aggression! Yeah, that's what he said. He can talk a good game but his rapping days is over. I mean, my time is now? Your time is up. It's over, man. These young guys like Finn Balor, coming in and stepping their game up. It's gonna be a whole totally different landscape of the game change out here in the near, near future. Finn Balor, he's got that spot. He's gonna be in there with Brock Lesnar." We wouldn't see this again until over a decade later at WrestleKingdom, but once upon a time a much younger AJ Styles and Hiroshi Tanahashi faced off at a TNA Final Resolution PPV. A new episode of Being The Elite can be found below. Via a WWE Network ad, WWE may have spoiled that Undertaker is in the 2019 WWE Hall of Fame class. Sorry to disappoint you all but Finn Balor says he won't be "The Demon" at the Royal Rumble: "I feel like maybe I leaned on the demon too much there in the past as a crutch, and I can assure you that the man who faces Brock Lesnar at the Royal Rumble will be Finn Balor, the man." WWE Main Event results courtesy WrestlingInc.com are as follows: Rezar defeated Tyler Breeze, while Mojo Rawley defeated No Way Jose. In this interview Sasha Banks talks about becoming "The Boss": "When I first got started, I was just more thankful and happy that I got signed by the WWE. I felt like I was too nervous to even try to stand out. I was just trying to be myself, just this happy go lucky girl, just like living her dreams, until I figure out that you need a character to stand out here too. At the time, I wasn't really being used, but I was being used more as a good hand, so to speak. I looked at what they didn't have down at NXT at the time, which were heels. I talked to Tyler Breeze, at the time, who was trying to find his voice and his character and he told me to write ten different character pitches with different names and different backgrounds and the first one I wrote was The Boss because, being around Snoop Dogg, all the people around him called him The Boss. At the time, Floyd Mayweather was out there, Nikki Minaj, and all these larger than life characters that were cocky, flashy, and flamboyant and that's who I wanted to be because I strive myself to be the best wrestler that I can and I feel like I was the best, but I just didn't have that character to let people know that I was the best. I was talking to Dream and Dream helped me so much trying to find the voice of this Legit Boss character and now I'm here today. Being part of the group BFF, with Summer Rae and Charlotte, at the time Summer Rae was on the main roster and coming back down for tapings and just little things of her telling me how to look at the camera or when the camera guys had five fingers up you have five seconds and then they're gonna cut away from you. It's little things like that where I just kind of understood the camera work of everything and wrestling kind of came easier with me and understanding your character, but once you understand your character, you don't have to think about your moves anymore. You just embody this character where the moves almost become second nature and everything flows together where you're thinking, ‘My character will do this here or my character will be here or sell this way.' It wasn't really until I got into the BFF group and then I kind of branched off on my own, where it kind of really clicked for me." Of his own volition Daniel Bryan decided to remind the world that Hideo Itami (KENTA) is a dangerous man.